Cutting Summer Firewood - What Are The Benefits? One of the biggest disadvantages of cutting summer firewood is the intense heat. Cutting firewood is hard enough in cool, comfortable weather. Once you add the heat of the summer sun, it can be exhausting. Plus, the dense tree canopy and bugs only add to your troubles. Even though I prefer to cut firewood in the spring when the outside temperatures are comfortable, sometimes I just don't have enough time to finish before summer. So……there I am outside cutting, splitting and stacking firewood in the heat of the sun. However, the hot sun that makes cutting firewood so miserable could actually be a big benefit if you use it to speed up the seasoning process. Plus, if you sell firewood you'll notice there's not a lot of competition during the summer months. 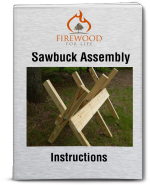 It's a great way to pick up a few customers who need a little firewood for camping, barbecuing or chiminea's. Since using a tractor makes moving firewood easier I like to utilize one every chance I get, especially in the summer. Why move logs by hand when you can use hydraulics? Here's one way to make cutting summer firewood easier if you have a tractor. Once you fell a live tree, skid the tree out into an open field with the branches and leaves still attached. I usually spend a day or two just cutting down trees and dragging them out into the middle of an open field. Once I have several trees in the field, let them sit for a week or two (or longer) until the leaves turn brown and crisp. Leaving the leaves on the tree actually helps draw out moisture from the tree, speeding up the seasoning process. Plus the direct sun helps dry out the wood. 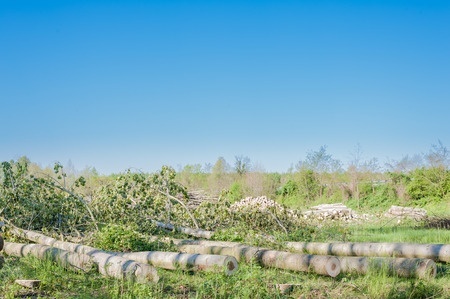 Once the tree has "baked" in the field for a while you can use a front end loader to lift up the tree and cut off the branches and process the remaining wood. You can also cut up the tree and just let the wood sit out in the direct sun for about a month before you stack it on an elevated and covered shelter. It's amazing how much the sun speeds up the drying process. Splitting the wood into smaller pieces not only makes them easier to handle, but the exposed surface area also allows the wood to dry out faster. 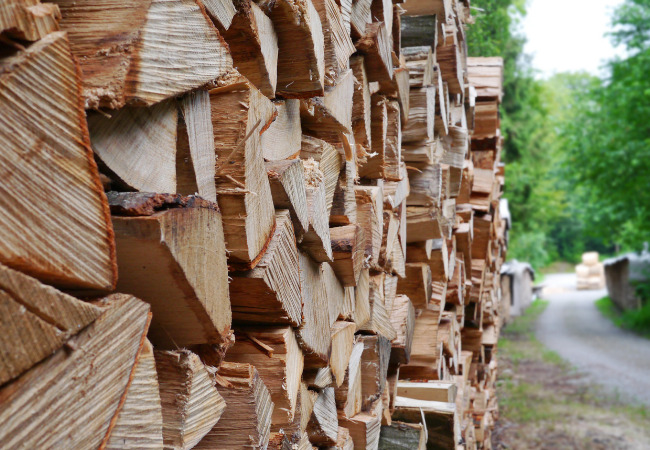 Just make sure to properly stack the wood before fall when the cooler, damp weather arrives. There's not a lot of people who sell firewood year round. Obviously, as the cooler months get closer you will find "firewood for sale" adds everywhere but why not take advantage of the reduced competition? Summer means camping is in full swing and depending on where you live, there could be a lot of people looking for a local place to buy firewood. Also, chiminea's are becoming very popular. 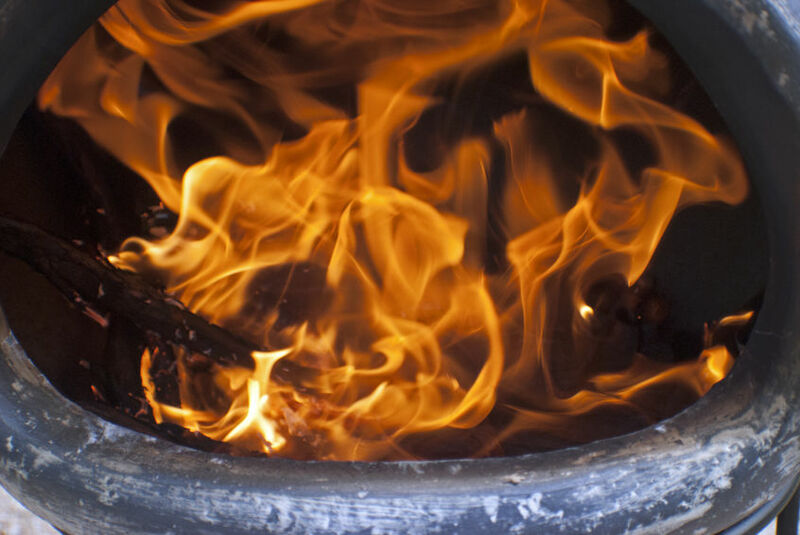 Since many chiminea's burn smaller chunks of wood you could sell chiminea firewood and capitalize on this "niche" market. Plus, if you sell good quality firewood any customers you receive during the summer will probably be back during the fall as they prepare for the colder months ahead. Cutting firewood in the summer is not the most ideal time to harvest firewood but there are a few ways to use the hot temperatures to your advantage. Be aware, heat exhaustion is dangerous and can be deadly. Since cutting firewood involves a lot of physical exercise it's important to keep hydrated and don't overwork yourself. If it's too hot outside, leave the firewood for another day or only cut early in the morning before it becomes too hot.